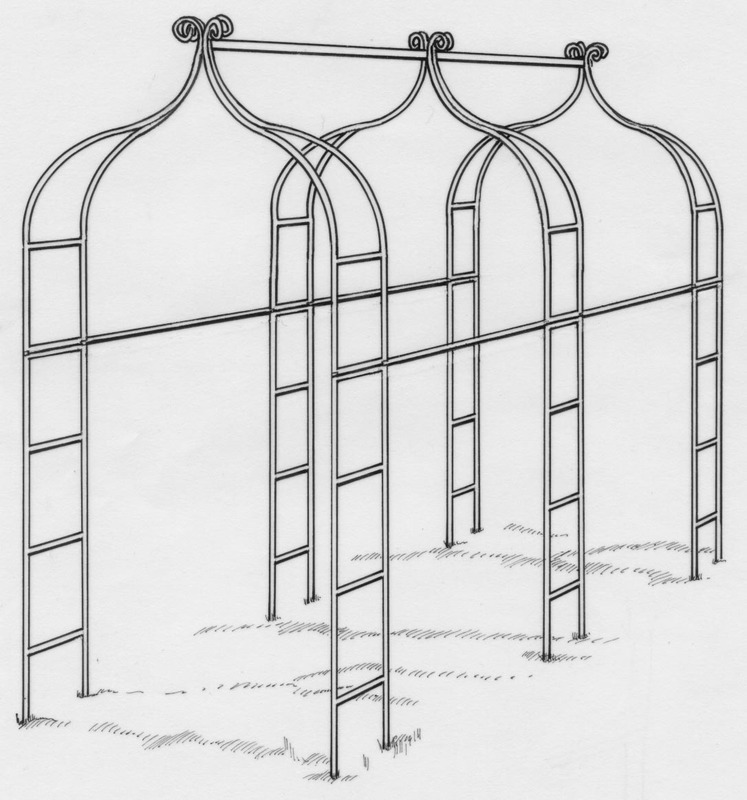 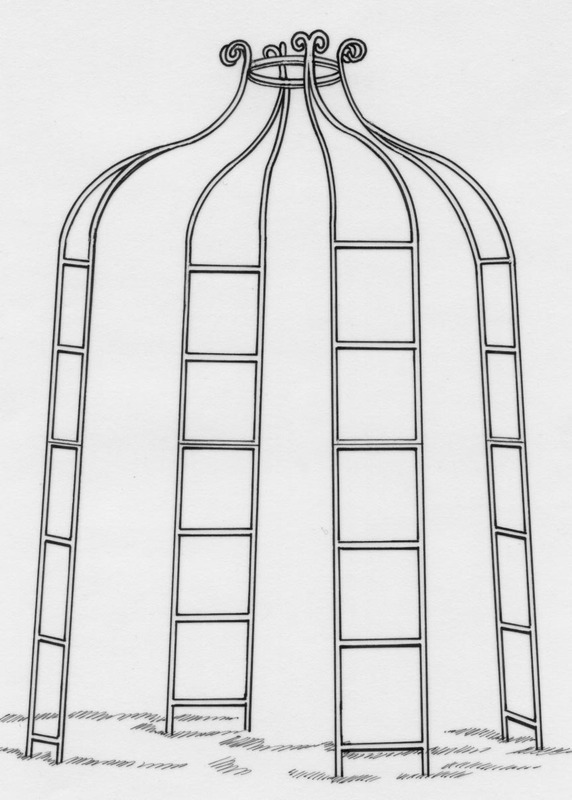 Camelot Range of Wrought Iron Arch, Gazebos, Arbours & Tunnel. 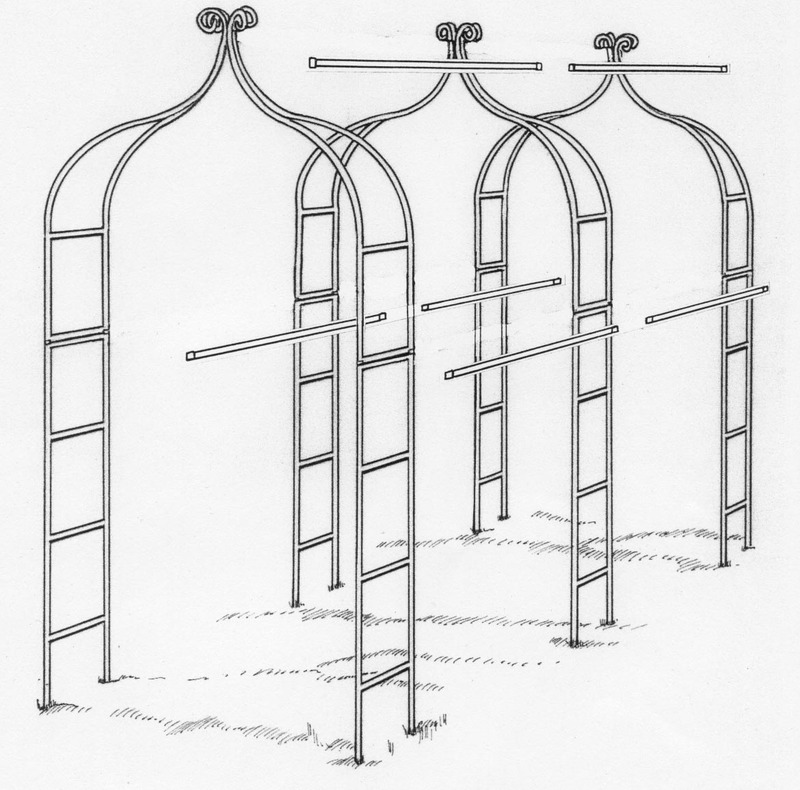 Height dimension is after the arch is inserted 12"/30cm into the ground. 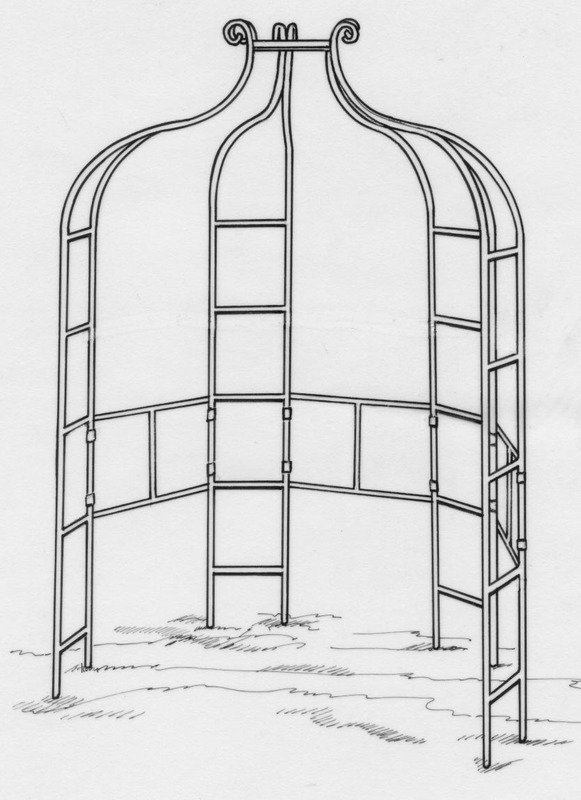 The Camelot Arch forms the basis of two Gazebos, an Arbour and a Tunnel. 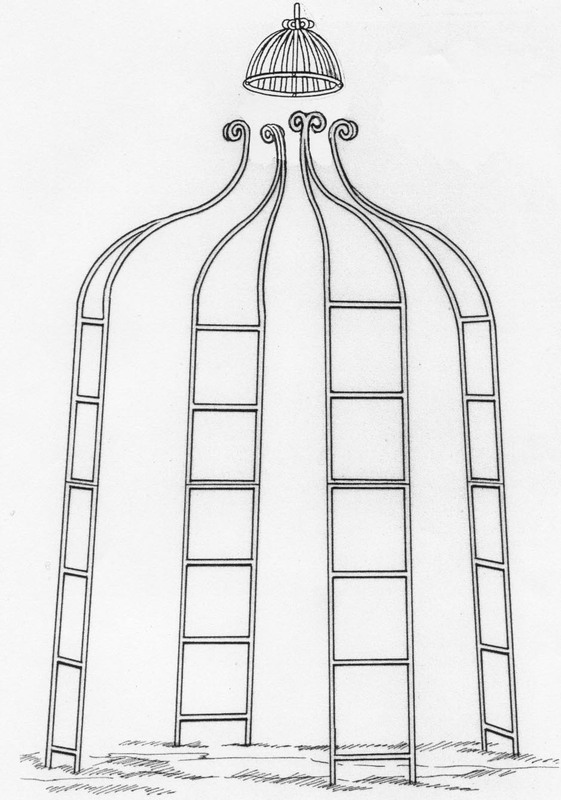 93"/236cm high x 49"/124cm opening x 12"/31cm depth. 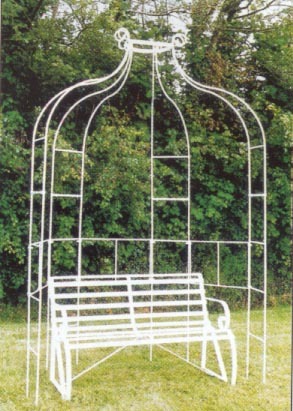 93"/236cm high x 49"/124cm wide x 11 ft 2"/340cm long . 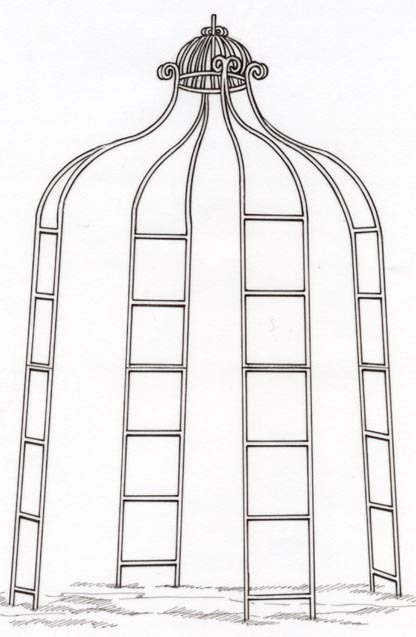 Further Arches and Joining Kits can be added to extend a Camelot Tunnel to any length required.